Six years ago I started a website showing my photography. It wasn’t easy. My husband had to program the site. He designed it and then put my images onto it. I always felt the need to redesign the site, but it was a lot of work for my husband, who was already bogged down with other work. Even when I wanted to put up an image, I had to ask him to do it for me because I don’t know how to program. 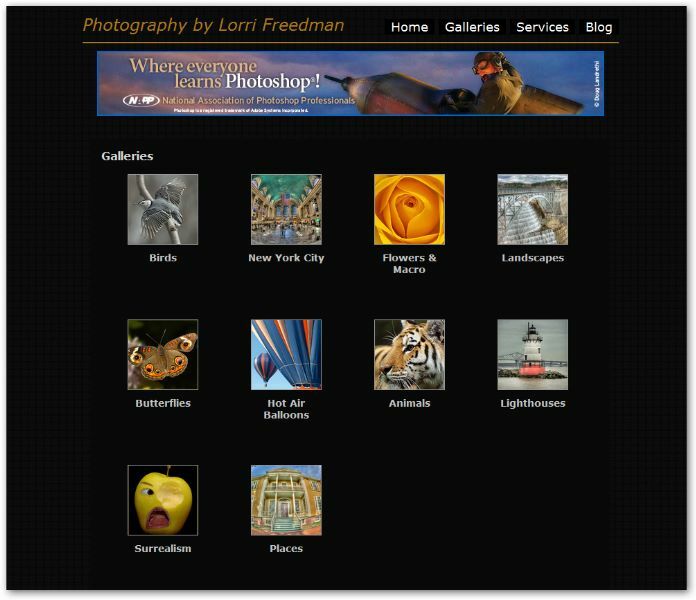 As the years went on I realized that I wasn’t putting up new images into my photography website. There were images on my site that I wanted taken off too. I just got tired of asking for help. I wanted a site that I could have total control over. My husband got commissioned to do a website. So, he and I did some research and found a hosting site called SmugMug . Hallelujah!! This hosting site looked great. All my husband had to do was set up the basics for me, which required some programming. The rest is a breeze. I have total control. I put up images when I want to. I could take off images when I want to also. Since SmugMug is a community, there’s more of a chance that other people will see my work. I also enjoy surfing the SmugMug community looking at other photographic web sites. 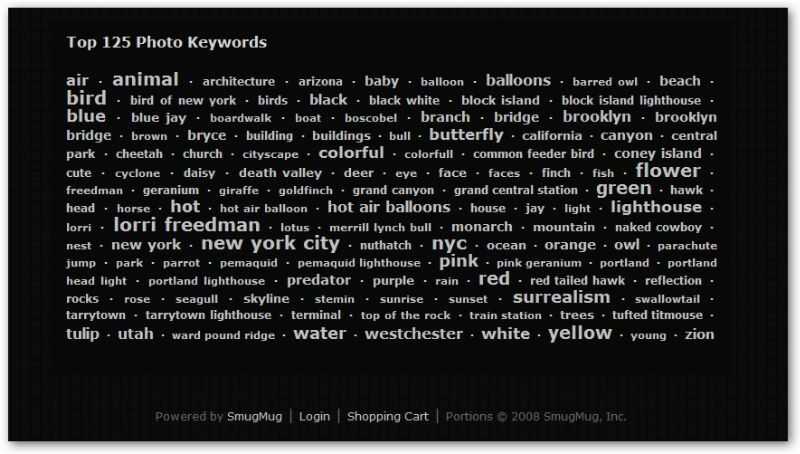 SmugMug also has a feature called Ã¢â‚¬Å“keywordsÃ¢â‚¬Â. On their home page you can type in a keyword and everyone in the SmugMug community who has the same word for a specific image will show up in a gallery. 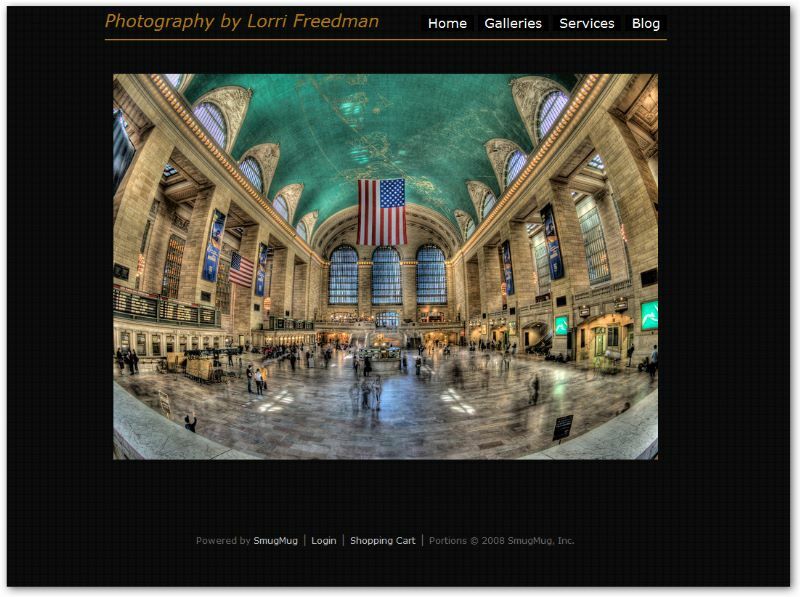 My website on SmugMug is fairly new. It’s only been up a month and a half. I think it looks great. It’s much better than my old site. And the best part is that I’m finally in control.